WICK (from the old Norse 'VIK' - a bay), lies in a strategic position on the north east tip of mainland Scotland. 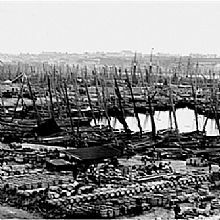 The earliest harbour works began in 1803 under the British Fisheries Society, to exploit the huge seasonal herring fishing, which peaked around 1900, when some 1120 vessels were based here, and over two particularly busy days, landed fifty million fish! Thirsty work - at about that time the workforce were consuming 3000 litres of whisky a week from the local Old Pulteney Distillery! A comprehensive factual and photographic history of the port and the town can be seen nearby in the award winning WICK HERITAGE CENTRE, a 'must' for anyone with salt on their lips. Thomas Telford, Thomas Stevenson, father of Robert Louis, who lived in Harbour Terrace, and local man James Bremner, whose distinctive 'Round House' overlooks the Inner Basin, and whose memorial stands above the Old Lifeboat Shed, were all eminent civil engineers who built the harbour, as you see it today. Since 1879 the port has been owned and operated by Wick Harbour Trust, a publicly constituted body with members elected from local fishing, business, and council interests. 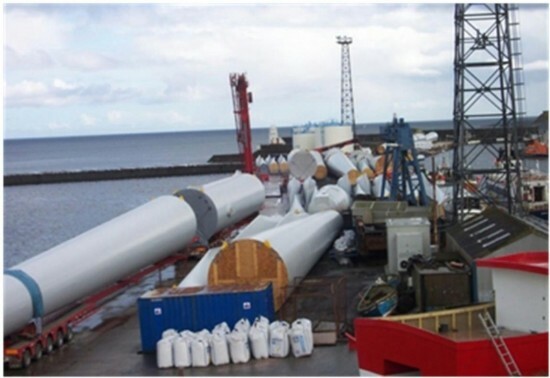 In July 2005 however, a new body, Wick Harbour Authority, took over under the Government initiative 'Modernising Trust Ports'. This has streamlined the port management and set it on course for a secure and prosperous future. Fish landings have considerably reduced with the recent demise of the inshore white fish fleet, but there are still regular landings of cod, haddock, whiting, flatfish, scallops, crabs, lobsters, and whelks. 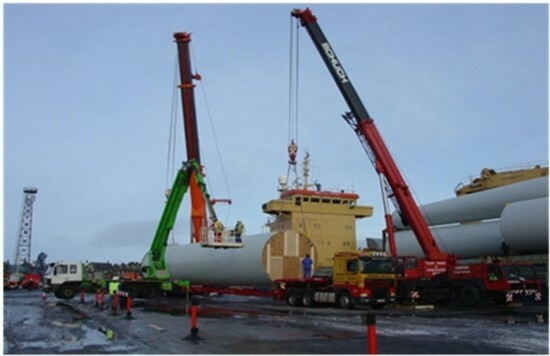 Commercial trade is however, rising, with regular deliveries of fuel oil, agricultural lime, road salt ,coal, and occasionally oil related materials and wind turbine components. 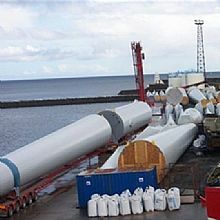 Exports are of local barley for malting and timber. 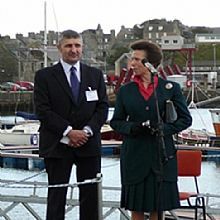 Back in 2005 the new Board of Wick Harbour Authority was set up with seven members drawn from the local business community, all unpaid except for the Harbour Master. 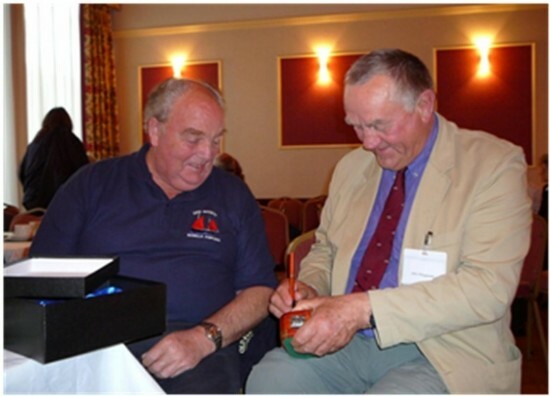 Since then our Chairman Willie Watt has been a very active and enthusiastic leader, in spite of his 'day job' demands as local manager of a global oil pipeline construction company. Harbour Master for the last eighteen years is Malcolm Bremner, experienced and respected former fishing skipper, has seen many changes in the harbour over the years, and now is well placed to advise all sailors on local sea and weather conditions, especially on negotiating the Pentland Firth. Usually Malcolm or his colleague Richard Ewart will greet new arrivals on the marina. Norma Simpson, our Treasurer, looks after our office, and she will normally be there to help with any queries on local activities. 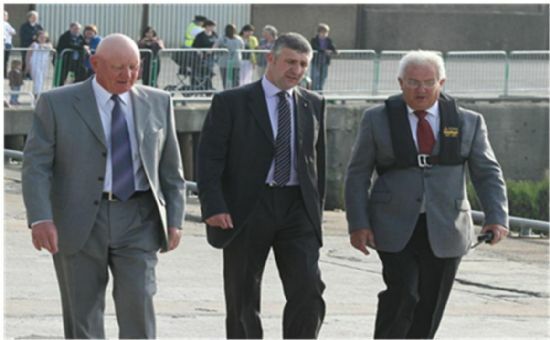 Back in 2005 the new Authority inherited a port very much in decline, having lost almost eighty per cent of our fisheries income over a ten year period, so the Board had a huge task to try and reverse the trend. Fairly quickly we realised that we could no longer depend on any appreciable fishing income so we decided the answer was diversification. Having seen the leisure business grow slowly but surely, initial proposals were drawn up for a small marina in the Outer Basin and once funding had been secured, a short 100 metre long pontoon was installed in 2007. This proved fairly successful, but was subject to swell, and as expected, had to be removed over the winter months, and reinstalled in the Spring. 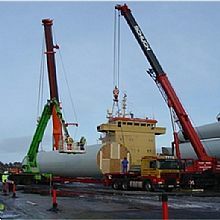 Efforts continued on planning and sourcing funding for a permanent seventy berth layout in the Inner Basin, and eventually this was constructed in Spring 2009. Thanks are due to our funders, the Crown Estate and the Nuclear Decommissioning Authority, who made it all possible. The earlier pontoon was removed and incorporated in the new layout. 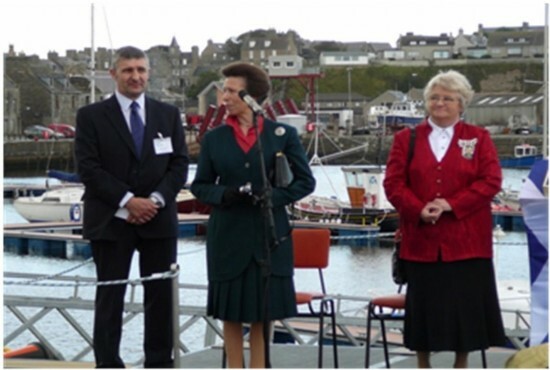 The Princess Royal, Princess Anne, officially opened the marina in September 2009, and this is commemorated by a plaque on the gate. 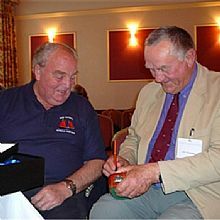 John Ridgeway was also on hand to give a first hand account of his globetrotting experiences. We had planned to upgrade our showers and toilets and install a small lounge/kitchen, laundry room and fuelling point over this winter, but this has been put on hold due to financial restraints.